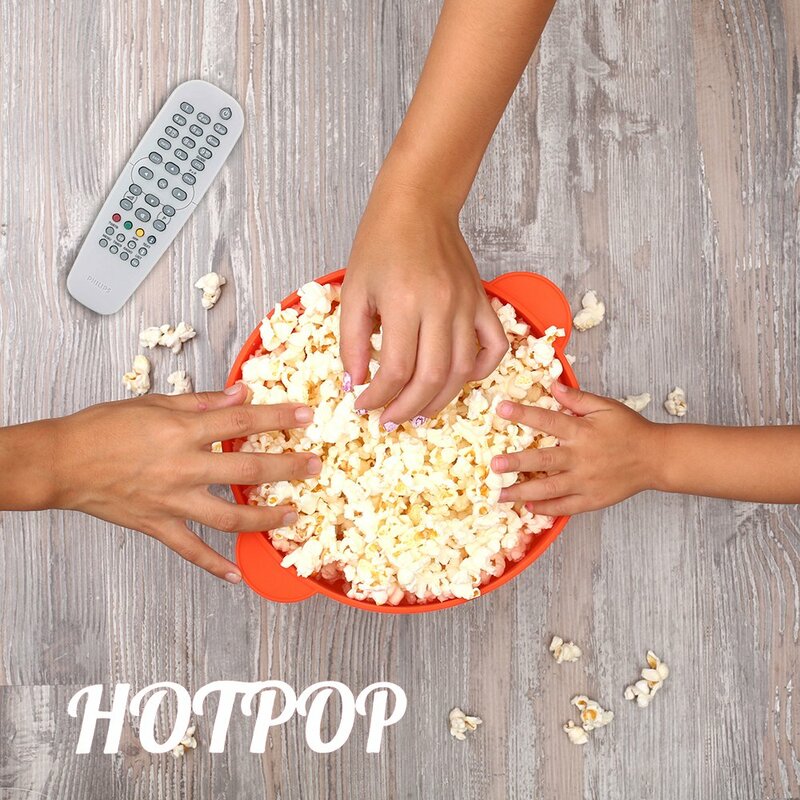 DISCOVER THE JOY OF MAKING POPCORN WITH HOTPOP! 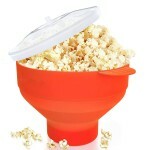 Ditch the noisy electric hot air poppers, the slow stovetop poppers, and the harmful microwave popcorn bags. HOTPOP revolutionary silicone bowl will make your popcorn in 2-4 minutes without being worried about the chemicals that are often used in most microwave popcorn bags, the hassle of cleaning your popcorn popper and the limited storage space of your kitchen. 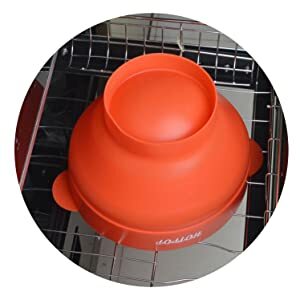 Its revolutionary design allowing it to fit in your dishwasher, your kitchen cabinets or drawers without taking too much space in your kitchen. 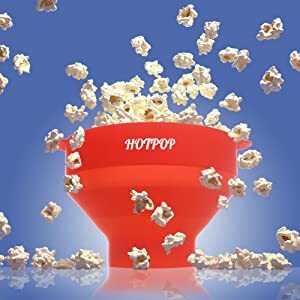 HOTPOP is perfect for making popcorn at any time of day. 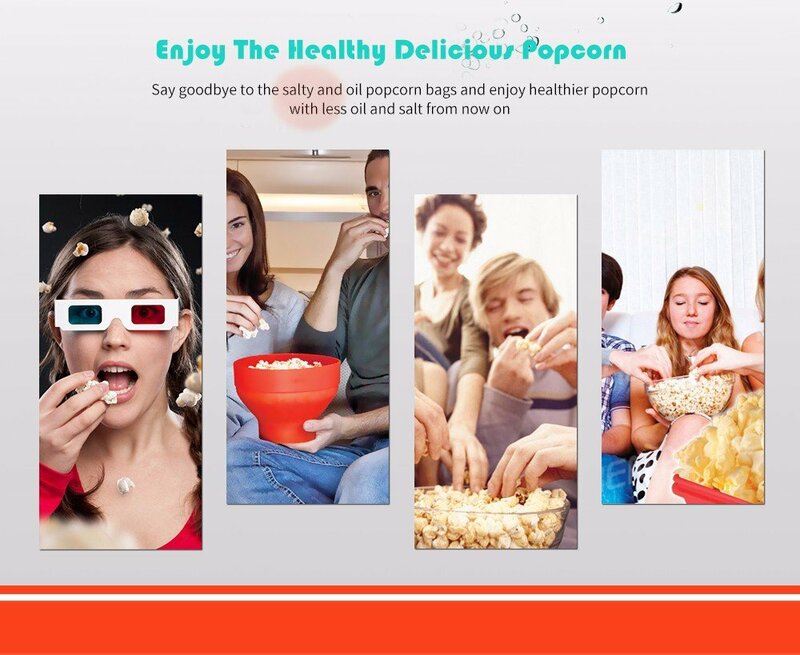 Purchase multiple quantities for popcorn bars at Graduations, Birthday Parties, and Weddings or bring the theater home and kick back with a movie, your kids, and your very own healthy custom popcorn! 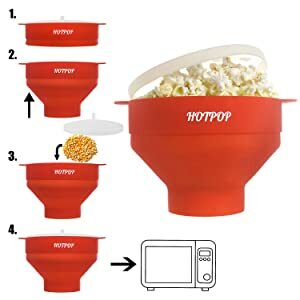 Just pour popcorn kernels into the, put it into the microwave, and get a bowl full of popcorn! · Pop up the HOTPOP popcorn popper and remove the lid. 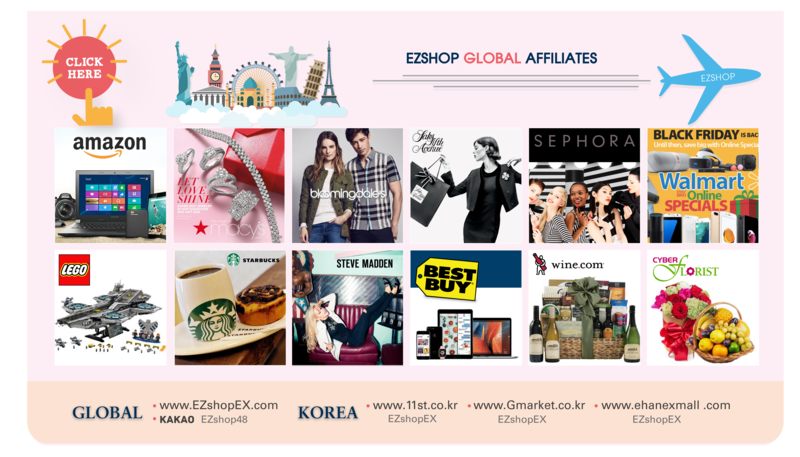 · Drop your choice of kernels and seasoning or drop of oil. Gently drop lid back into the bowl. · Heat for 2-4 minutes* depending on your microwave power. · Eat as a healthy snack any time of day! Not for use with convection microwave ovens. Always use caution when removing the lid due to heat and steam. *Heating times will vary depending on microwave. For 1000w and above, we suggest lowering to Power Level 8. Using High (Power Level 10) may lead to burnt popcorn. 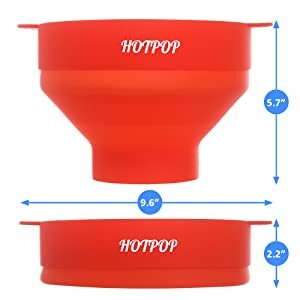 The High Quality Silicone allows HOTPOP to Pop and Drop whenever you need. Collapses to 2.2" tall to store away virtually anywhere. 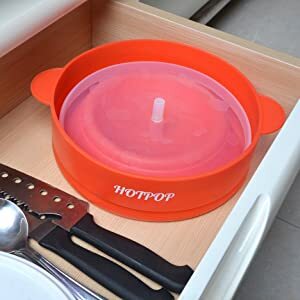 The space saving design makes HOTPOP great for college dorm rooms and recreational vehicles and those who just enjoying a little more space in their kitchen. 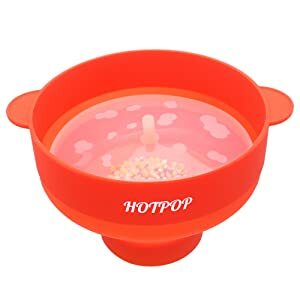 HOTPOP is dishwasher safe! You can quickly wash by hand or throw in the dishwasher. HOTPOP is significantly much sturdier compared to all other silicone popcorn poppers. Its solid construction prevents it from falling or collapsing while staying open. HOTPOP is made of a 100% food grade silicone - BPA and PVC free. 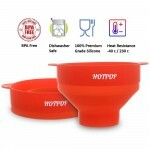 HOTPOP has a built-in heat-resistant handles on the sides for your convenience and safety (heat resistance: 230c / 450F).